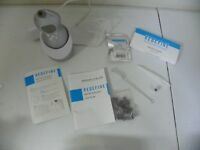 Details about Rodan and Fields Redefine Macro Exfoliator Filter 2 Pack NEW & SEALED! Rodan and Fields Redefine Macro Exfoliator Filter 2 Pack NEW & SEALED! Rodan and + Fields Multi-Function Eye Cream redefine 15ML/0.5 Fl. Oz. Rodan and Fields Redefine Macro Exfoliator Filter Pads 52 Count, NEW & SEALED!